A group that's looking for the first Red Planet colonists received applications from more than 200,000 prospective astronauts vying for a spot on a one-way trip to Mars. The applicant pool is quite diverse with more than 140 countries represented, Mars One said in a statement. Nearly a quarter of the aspiring Mars colonists are from the United States. Ten percent of the applicants are Indians, the second largest group in the pool. The group started raising money through its application fees, which ranged from $5 to $75 depending on the applicant's country of origin. 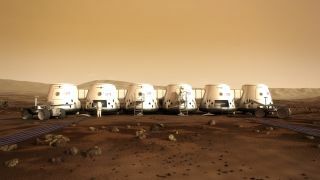 Mars One also hopes it will be able to raise funds with a reality TV show tracking the astronaut selection process and training.